What if Flash Thompson became Spider-Man? What if Magik didn’t join the New Mutants after escaping Limbo? What if… uh, whatever the hell is going on in that Ghost Rider one? 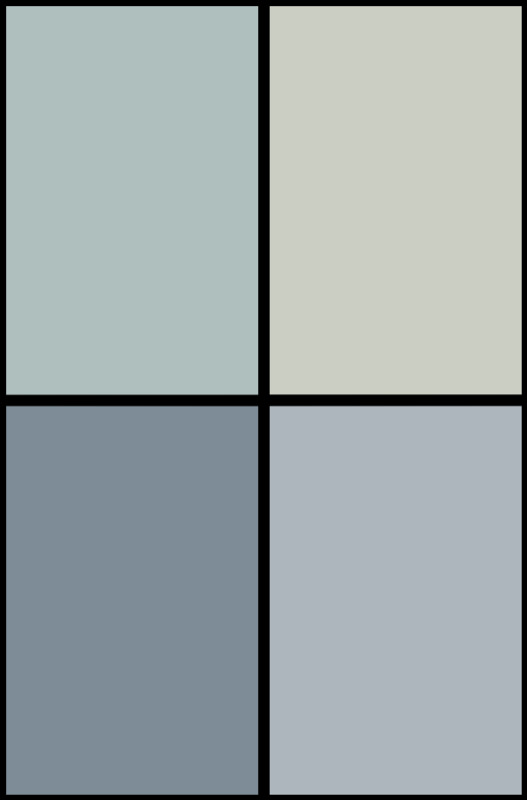 What if Thor were raised by Frost Giants? What if the X-Men were cyberpunk capitalists? What if Peter Parker became the Punisher? 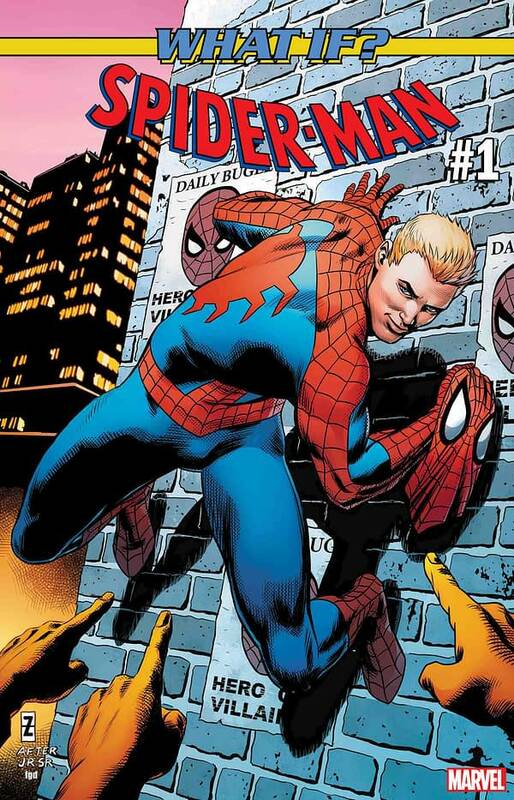 Written by Gerry Conway with art by Diego Olortegui and a cover by Patch Zircher, the questions are asked…what if Peter Parker wasn’t the one bitten by the radioactive spider? What if the person who got bit was someone who didn’t live by the mantra of “with great power comes great responsibility”? What if that person was an egotistical bully who was only interested in taking care of himself? 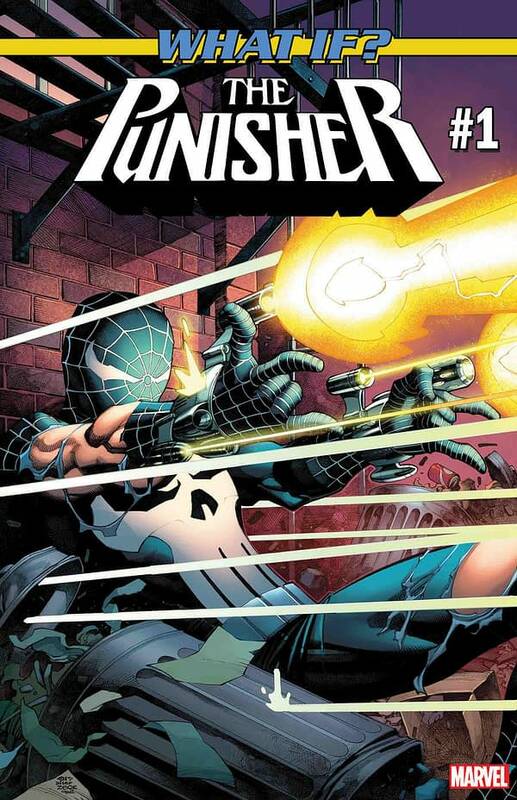 What if…Flash Thompson became Spider-Man? Find out on October 3. Brought to life by writer Leah Williams, artist Filipe Andrade, and with a cover by Jeff Dekal, Illyana Rasputin enters a new reality on October 31. 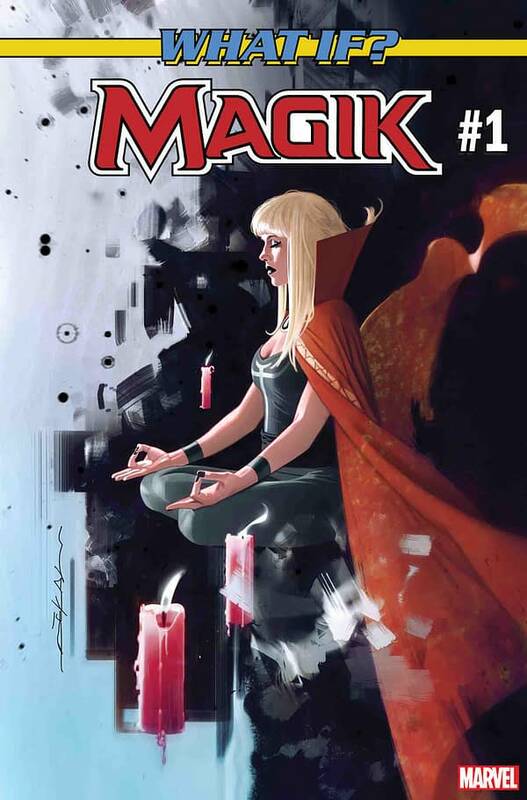 Before she was Magik, Illyana was just a kid whom Limbo chewed up and spit out seven years older. So it’s no surprise that, at 15, she wants nothing to do with the X-Men…nothing to do with the New Mutants…and nothing to do with her own powers. It’s not even surprising that she runs away…but where—and who—she ends up? Well, that’s something you’ve never seen before. On October 17, writer Sebastian Griner, artist Caspar Wijngaard, and cover artist Aleksi Briclot, present WHAT IF? 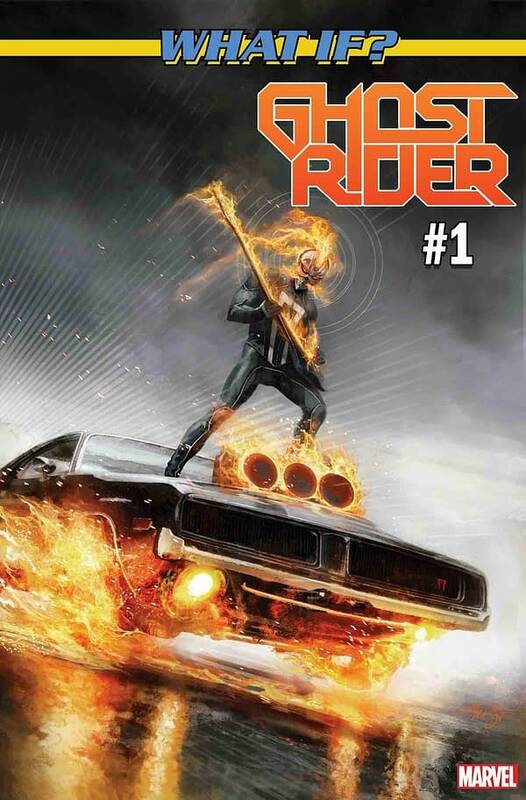 GHOST RIDER #1. You’ve only heard whispers of this real-world/Marvel Universe crossover until now, when moral decline and budgetary shortfalls have combined to lower our lawyers’ resistance! Sebastian Girner and Caspar Wijngaard recklessly bring you the tale of the first and only true Nordic black metal band to visit the Marvel Universe through the insanity of likeness release waivers! What role does Ghost Rider Robbie Reyes play, and will your mind survive the brutality!? Editor Kathleen Wisneski says, “Before you read this comic, you’re going to need THREE things, friends. 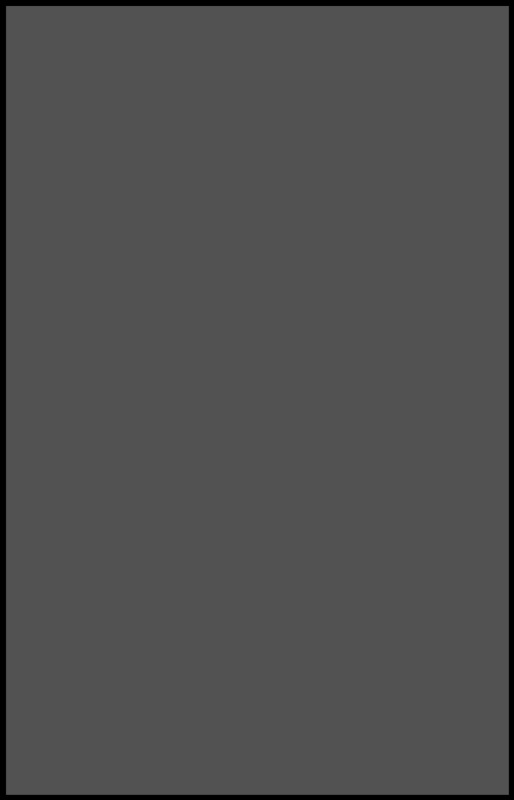 ONE: an extra pair of pants. TWO: some kind of eyeball apparatus designed to keep your eyeballs INSIDE your head. THREE: your mom on speed-dial. We are serving you pants-off and eyeballs-out levels of horror and shock, and if ANYONE has a chance to call you back from the ledge of insanity that this comic will lift you to, then ABANDON you upon, it’s your momma. If she’s read it first, you can hold hands on your way DOWN INTO THE ABYSS!” Oh boy. Written by Ethan Sacks with art by Michele Bandini and a cover by Marco Checchetto, the Odinson experiences a new reality on October 24. When young Thor’s father falls to the King of Giants, his life is forever changed. 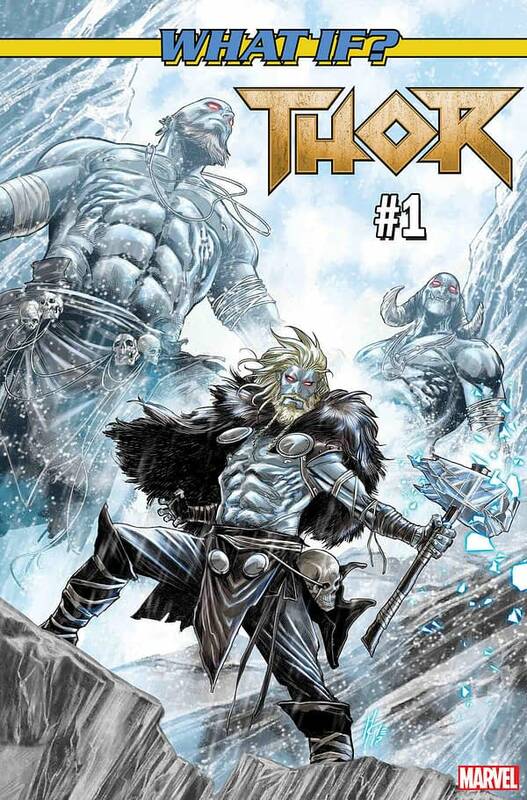 He’s ripped from Asgard to be raised in a world of persistent winter, learning the brutal way of life in Jotenheim. But how does the runt of the giants, Loki, feel about his new stepbrother? Find out in WHAT IF? THOR #1. On October 3, writer Bryan Edward Hill, artists Neil Edwards and Giannis Milonogiannis, and cover artist Rahzzah bring you WHAT IF? X-MEN #1. 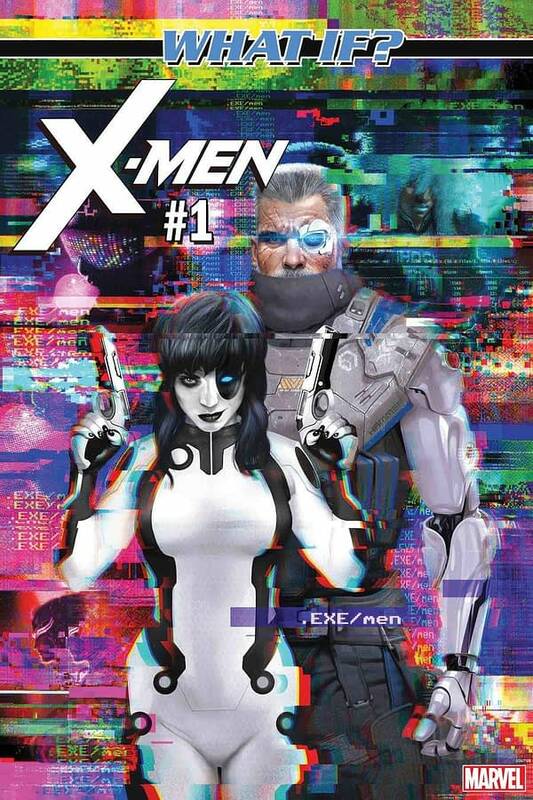 From the publisher that gave you OLD MAN LOGAN and HOUSE OF M…witness the X-Men as you never imagined! Editor Chris Robinson keeps the pitch short and sweet: “The most life-changing comic since VENOM #1. Speculators take note.” Boom. Written by Carl Potts with art by Juanan Ramirez and a cover by Christopher Stevens, WHAT IF? THE PUNISHER #1 hits on October 10. When Peter Parker’s Uncle Ben is ruthlessly killed by a burglar that Peter let escape, he vows to never let the same fate befall another innocent bystander. From then on, he stands as a figure of cold retribution. Criminals beware – the guilty caught in this spider’s web will be punished. But will Parker stand triumphant…or shattered by this twist of fate?